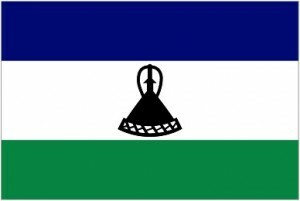 The situation in Lesotho, a tiny nation in South Africa, was drawn to the attention of Judges for Judges by Lawyers for Lawyers. It appears that in Lesotho a ‘hit list’ is in circulation, mentioning the names of lawyers that initiate procedures the army doesn’t like. These procedures concern for instance the legal aid of military personnel that is being detained for unclear reasons. Indeed, one of these lawyers has been murdered. We investigated this situation using the network Judges for Judges has at its disposal in South Africa. Thus we learned that in Lesotho the judicial independence is also under a heavy pressure. For instance the presiding judge of the Court of appeal has been deposed. He is being prosecuted, allegedly for tax evasion. However the proceedings are obviously politically inspired. We assured the Chief Justice of Lesotho of our support, wherever and whenever needed or wished for. This offer was thankfully accepted. Possibly a ‘fact finding mission’ will follow later this year, in which Judges for Judges will participate. Furthermore the possibility is being considered to observe the legal proceedings, if the case of the presiding judge of the Court of appeal will be judged in appeal. In cooperation with the Southern Africa Litigation Centre (SALC) and the International Commission of Jurists (ICJ) we continue to closely watch the developments. Rechters voor Rechters werd door Advocaten voor Advocaten geattendeerd op de situatie in Lesotho, een mini staatje in Zuid-Afrika. Daar circuleert een “hitlist” met advocaten die het leger onwelgevallige procedures voeren. Het gaat dan bijvoorbeeld om het bijstaan van militairen die om onduidelijke redenen worden vastgezet. Een van die advocaten is ook daadwerkelijk vermoord. We hebben de situatie onderzocht via het netwerk dat Rechters voor Rechters heeft in Zuid-Afrika. We vernamen toen dat ook de rechterlijke onafhankelijkheid zwaar onder druk staat in Lesotho. De president van het Hof is bijvoorbeeld afgezet en vervolgd, zogenaamd vanwege belastingtechnische redenen. Overduidelijk is dat dit een politieke actie is. Wij hebben de Chief Justice van Lesotho laten weten dat wij steun verlenen waar en wanneer dat nodig en opportuun mocht blijken. Daar is met dank op gereageerd. Mogelijk volgt er dit jaar een factfinding mission waar Rechters voor rechters aan deelneemt. En daarnaast wordt de mogelijkheid van proceswaarneming overwogen als de zaak van de president van het Hof in appel wordt behandeld. In samenwerking met het Zuid-Afrikaanse Southern Africa Litigation Centre (SALC) en de International Commission of Jurists (ICJ) houden wij de situatie nauwlettend in de gaten.